In today’s data-driven society, privacy, security and trust are more vital and intertwined than ever before. But many organisations are not doing all they can to protect data privacy, according to new findings released today from PwC PwC’s 2018 Global State of Information Security® Survey (GSISS). When it comes to third parties who handle personal data of customers and employees, less than half (46%) conduct compliance audits to ensure they have the capacity to protect such information. And a similar number (46%) say their organisation requires third parties to comply with their privacy policies. The survey draws on responses of 9,500 senior business and technology executives from 122 countries. Businesses in Europe and the Middle East generally lag behind those in Asia, North America, and South America in developing an overall information security strategy and implementing data-use governance practices, according to 2018 GSISS findings (see table below). Senior executives recognize the rising stakes of cyber insecurity. In PwC 21st Global CEO Survey, cyber threats entered the top 5 threats to growth for the third time, with 40% of CEOs saying they were extremely concerned about this, up from 25% last year. There is some cause for optimism. 87% of global CEOs say they are investing in cybersecurity to build trust with customers. Nearly as many (81%) say they are creating transparency in the usage and storage of data. But less than half say they are taking these actions “to a large extent.” And more worrying is that less than a third of African CEOs and nearly a quarter of North American CEOs (22%) say they are “not at all” creating transparency in the usage and storage of data. Consumers have relatively low confidence that companies will use personal data in a responsible way. In the US, for example, only 25% of consumers say they believe most companies handle sensitive personal data responsibly (PwC’s 2017 US Consumer Intelligence Series survey). PwC expects emerging improvements in authentication technology, including biometrics and encryption, to increasingly help business leaders build trusted networks. Half of respondents say the use of advanced authentication has improved customer and business partner confidence in the organisation’s information security and privacy capabilities. Also, 48% say advanced authentication has helped reduce fraud and 41% say it has improved the customer experience. In addition, 46% say they plan to boost investment in biometrics and advanced authentication this year. Using biometrics, however, creates its own exposure to privacy regulation and public concern as it relates to companies needing to track biometric information. And relying on knowledge-based authentication—when users provide a mother’s maiden name, for instance—potentially leaves an organisation vulnerable to attack if the knowledge is stolen in a separate breach. 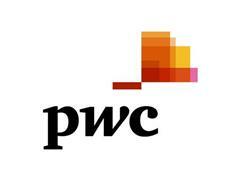 PwC also expects increased pressure on industry to encrypt data for protection, which will drive related investments. Among financial sector respondents, 46% say they plan to increase investment in encryption this year. Less than a third (31%) of 2018 GSISS respondents say their corporate board directly participates in a review of current security and privacy risks. For organisations worth more than $25 billion the figure is only a bit higher (36%). The EU’s General Data Protection Regulation (GDPR), which applies to any organisation that does business in the EU, will go into effect in May 2018. Some 2018 GSISS respondents worldwide say they were already making some preparations for GDPR in the first half of 2017—a year before the compliance deadline. About a third of respondents (32%) had started a GDPR assessment, for example, and this figure was a bit higher in Asia (37%) than elsewhere. The EU’s Directive on Security of Network and Information Systems (NIS directive), which aims to boost cyber resilience, also goes into effect in May 2018. Businesses identified by member states as operators of essential services (critical infrastructure), as well as digital service providers (search engines, cloud computing services and online marketplaces), face new requirements under the directive for security and for reporting incidents to national authorities. As with GDPR, companies could face serious consequences for noncompliance. The Global State of Information Security® Survey 2018 is a worldwide study by PwC, CIO and CSO. It was conducted online from April 24, 2017, to May 26, 2017. The survey is based on the responses of more than 9,500 business and IT executives including CEOs, CFOs, CISOs, CIOs, CSOs, vice presidents, and directors of IT and information security from 122 countries. 38% of respondents were from North America, 29% from Europe, 18% from Asia Pacific, 14% from South America, and 1% from the Middle East and Africa. People want privacy and security, not privacy or security.